Leonard Thomas Devine was born on 14 October 1923, son of Joseph Devine. In 1948 he married Barbara Scales, sister of Phyllis Scales, wife of his fellow aldermen and Surry Hills childhood friend Fred Miller. Len and Barbara Devine had two daughters. Len Devine was educated at Bourke Street public school. He was a painter and became a by-laws inspector for the Health Department at Sydney City Council. He was a member of the Co-operative Painters Union. He later became a taxi proprietor. He was living at Moore Park, Sydney, when he enlisted in the Australian Army on 22 December 1941. He was serving with the 8th Field Ambulance when he was discharged in September 1946. Devine was secretary of the Surry Hills branch of the ALP and president of the City of Sydney Municipal Assembly. He was a member of the East Sydney Federal and Phillip State Electorate Councils. In a Commonwealth by-election in November 1963, Len Devine had a convincing win as the Labor candidate for East Sydney. He served in Federal Parliament until his retirement on 20 September 1969 to become a Sydney Council Alderman. 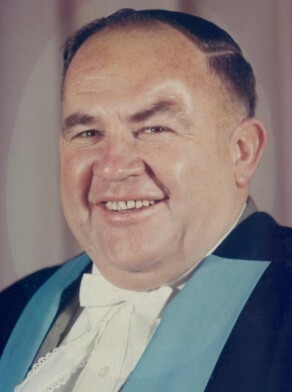 Devine was Alderman for Flinders Ward, 21 September 1969 to 20 September 1974. He was a member of the Works Committee and the City Development Committee from 1969 to 1974. He was a member of the Australian Labor Party.